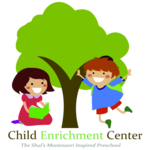 The Child Enrichment Center is located at 9540 Collins Ave in the heart of The Shul. The site is sunny, modern and equipped with all the requisite amenities of a first-class preschool, including bright classrooms, and outdoor playgrounds. Stay tuned to experience your own virtual tour of the school!